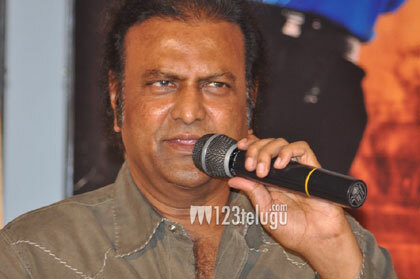 Collection King Dr. Mohan Babu recalled about his aadapaduchu sentiment at the UKUP press meet today. “All my blockbuster films, be it Pedarayudu, Allari Mogudu, Brahma, Rowdy gari Pellam etc have been supported well by the aadapaduchulu of Andhra Pradesh. Even when I was portraying villain roles in my earlier days, I was supported well by them. Hence, I wanted to give them UKUP as a gift for Sravana Sukruvaram. That is the reason for bringing forward the release of UKUP to July 27th”, said Dr. Mohan Babu. ‘U Kodathara Ulikki Padathara’ is all set for a big release on July 27th and it is the most expensive film ever produced by Mohan Babu. With the film releasing on the auspicious day of Sravana Sukruvaram, Mohan Babu is hoping that the aadapaduchu sentiment will work out again for this big budget project. Manchu Manoj Kumar and Deeksha Seth are playing the lead roles in the film while Nandamuri Balakrishna is going to be seen in a crucial role.